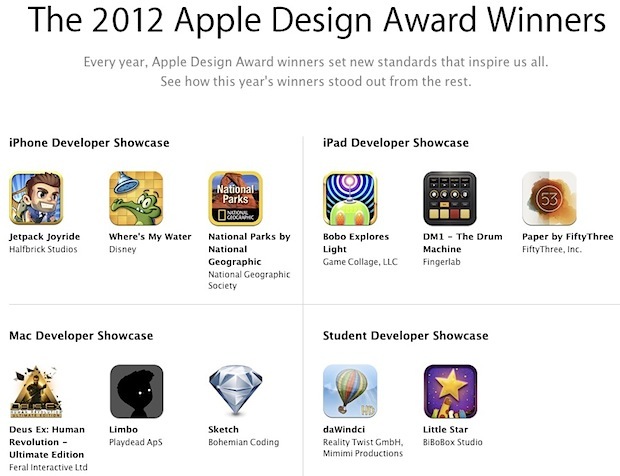 Both student winners are iOS games, with the iPad versions seeming to be why each won. You can read more about each app and why it won at Apple’s ADA page. Paper for iPad and Limbo for OS X are my personal favorites in the group, and National Parks is very useful if you plan on road tripping around the USA this summer. If you want another batch of great apps then last years winners are holding up quite well too.